League play is a great opportunity to play with old friends, make new friends, and improve your skills on turf. 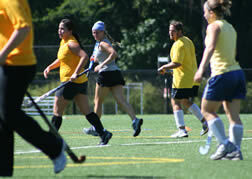 BFHA hosts year round leagues to offer players the opportunity to get out on the pitch! Learn more about both leagues, and hope to see you!